Finally, the details of the Monster By Mail Halloween promotion have been released! I'm calling it the 31 Days of Halloween and I'm hoping it will be really cool. Check out all the gory details (including some new photos) right here. Hey gang! Show 172 is done and ready for your listening pleasure. 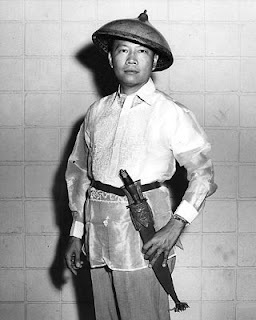 On this episode, Nora and I talk more than we need to about filipinos, a weird weekend with my parents, the return of the turkey and much more. Oh yes. There is much more more. Thanks for listening, thanks to everyone in the chatroom and everyone for subscribing! As some of you may or may not know, I do draw things other than monsters. And this is one of those rare occurances where I get to do just that. In this case, the art is a bit humbling to me and I feel honored to even get the chance to do something like this. When I appeared on Boing Boing earlier this summer, I got a lot of attention and, along with that, a lot of requests. One of the requests was from a Catholic priest named Fr. Vic. Extraordinarily, Fr. 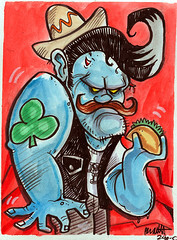 Vic not only requested a zombie, but also wanted to know if I was open to other commissions. Apparently, Fr. 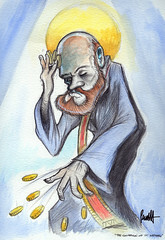 Vic's parish collects original art of St. Matthew. So, this year, I was one of the lucky artists to paint this renound Saint. What I found in my research is that there is not much known about St. Matthew. He was a tax collector, an apostle and one of the gospel writers. But other than that, he remains a bit of a mystery for church historians. I decided to use as the focal point the notion of someone dropping wordly possessions for a higher calling. You know, put your faith in God and all will work out. As I told Fr. Vic, I'm no homilist, but if the painting has a meaning, it's that. Ayway, I thought I'd share the image with you all. Like I said, I'm humbled to even have an opportunity like this. And I had a lot of fun painting it. There should be a video of this process up in a few days. I'll post the link when it's done. On the heels of the Summer of the Undead, Dave Devries sends us this link of some very cool photoshopped celebrity zombies. Or are they photoshopped? Hmmmm... Anyway, Braiiins - and all that good stuff. Just a reminder that along with school starting and the leaves changing, the Summer of the Undead is winding down at Monster By Mail. I only have room for 5 more zombies to make it an even 300 drawings for the summer. 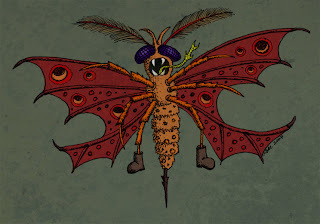 On 9/1 the theme will change to Aliens and I'm looking forward to drawing all kinds of weird creatures. Also, more the Halloween promotion will finally revealed on the blog. So if you haven't ordered one yet, get over there and do so! ...the greatest guitarist who ever lived, Stevie Ray Vaughn, was killed in a helicopter crash. In honor of this incredible blues guitarist, this is required watching. Ben Rollman of the 100 Artists project, of which I am a contributor, was kind enough to share some of his blogging real estate to devote time to an interview with me. If you can't get enough of me here, you can go to his site and get yet another fill of me talking about art, influences and other schtuff. Thanks Ben! Rumors of Castro's death have been greatly exaggerated. So what does he have to say about it? I think he needs your help, dear reader. Woot! Good to see her again! Enjoy! On our last show, Nora talked about the weird bites she had on her arm. I happen to think it's an itty bitty dracula, but listener Natalie thinks otherwise. Thanks Natalie! Much thanks to DJ Hojo for calling in (literally) this great find. Apparently, there's a woman in Illinois who is a mother of 6 (sound familiar?) and is running Ebay auctions of the Pokeman cards that her kids sneaked into her shopping cart when she wasn't looking. The auction is hilarious enough, but her blog is even better. This woman is a fantastically funny writer. I'm thinking about getting her on the show. Anyway, check out her auctions and her blog. Good stuff! If you were lucky enough to be in the Ustream chatroom last night after the show, I announced more details for the next phase of Monster By Mail. If you haven't figured it out yet, the next theme is Aliens. There are two new cool t-shirts to purchase which you can see right here. 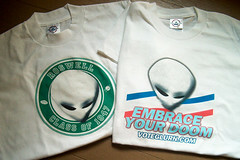 Plus, every order will get a "Vote Glurn" campaign pack which includes a Glurn bumper stickers and a campaign button. Plus there are some other cool surprises on the way as well. The new theme is slated to start on 9/1. I also let people in the chatroom more details about the Halloween promotion, but I'll probably explain more about that in a few days. Tonight's show, guess what? Lots of voicemails, more turkeys, filipino food, Glurn rocks out and more. Enjoy! 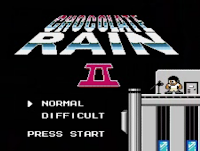 Plus, we are looking for a mod for the chatroom on Ustream, so hit me up if you know how to do that. Why not use this guy? 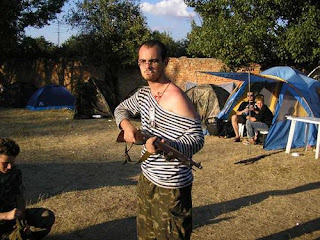 It's the militia! It's the cartoon militia! It's someone French! Either way, it's Caption This time again. Something tells me this maybe the campaign to follow this upcoming election year. 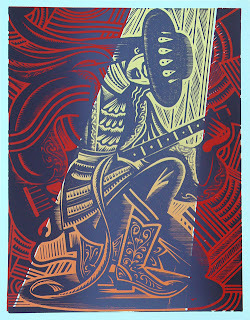 See more at VoteGlurn.org. 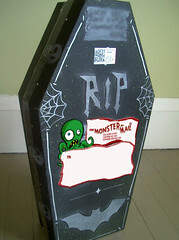 Earlier this week, I blogged about the upcoming Monster By Mail Halloween promotion. Well, I've just posted a photoset at Flickr with some more details. As mentioned previously, the promotion is slated to start well before Halloween to ensure everyone gets their monster before the holiday. Anyway, feel free to speculate on these images. I'll supply more info in the coming weeks. Michael sends us this little doozy: Courtesy Flush. It's supposed to neutralize the odors before you go! Maybe some clinical trials are in order. Earlier this week, I was asked by a rep of a blues musician named Sean Carney (a fellow Ohioan, BTW) to create a Monster By Mail-style video for his song "Bad Side Baby". I really enjoy Sean Carney's style of blues and I recommend picking up any of his albums. Incidentally, this makes the third music video I've done including Jonathan Coulton's "Octopus" that was created as Coulton recorded the song from his apartment earlier this summer, and one for the band Zamarro. Maybe this is a new video trend? Eh, maybe not. BTW, I got a copy of Paul and Storm's new album "Gumbo Pants" tonight. It seriously their best effort yet. I highly recommend a download today. Also, we'll be playing tracks from the album on our upcoming podcasts. We're coming to you from The Comeback City - Cleveland! Tonight, we talk about technology, purgatory, doing self-surgey, fog, rain and Cleveland, The Comeback City! Enjoy the show! Originally uploaded by Manic Mommies. I got this in my e-mail today. iTunes is showcasing parent friendly podcasts and two of the shows I have done art for are featured! 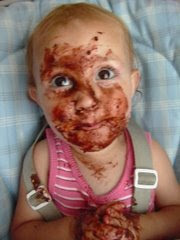 Congrats to Manic Mommies and Mighty Mommies, as well as thePediacast. Good job guys! Back pats all around. 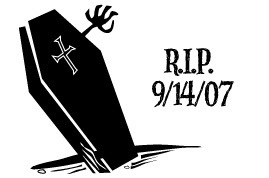 I just wanted everyone to know that I'm getting everything together for the Halloween promotion at Monster By Mail. I think it will start a few weeks before October just to make sure everyone can get their art before October 31. Yes, it will still involve original art, that much I'll say. But does anyone want to take a stab at what they think the promotion will be? "Zuda Comics will be all-new, original comics made specifically for the web. Zuda Comics will accept submissions from the Zuda community - that means YOU. You make the web comics and send them to us for competition.We'll put up a batch of the comics submitted each month. Then you and the Zuda community will vote, comment, and rate the comics. The one you like the best will get a one-year contract." The site is still in progress, but you can sign up for updates. Anyone up for the challenge? 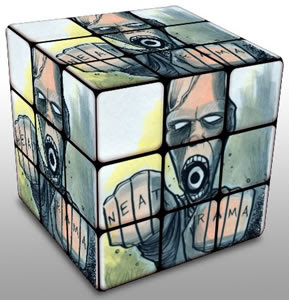 Alex over at Neatorama generated a rubik cube from one of my zombies. Check it out! I just got my 700th order for Monster By Mail just a few minutes ago. I'm pretty stoked about it, so I'll probably draw it live tomorrow afternoon. Keep watching for it! Also, as it mentions at the site, I am only doing 45 more zombies for the "Summer of the Undead", or until the new theme kicks in around September 1, whichever comes first. So if you've been on the fence, or know someone who is, be sure you prod them along and get their order in! UPDATE: Monster 700 has been drawn! You can see Vampirella here. And also see the live real-time video of me drawing this monster here. My camera went all weird on me midway through, but overall, you can see it pretty well. Enjoy! I just installed a tool on this site called Snap Shots that enhances links with visual previews of the destination site, interactive excerpts of Wikipedia articles, MySpace profiles, IMDb profiles and Amazon products, display inline videos, RSS, MP3s, photos, stock charts and more. Should you decide this is not for you, just click the Options icon in the upper right corner of the Snap Shot and opt-out. And if you hate it, I can remove it completely. Just let me know. Well, it happened. As I knew it would, eventually. 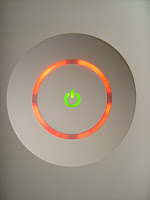 I got the dreaded Red Ring O'Death on my XBOX 360 tonight. I had been dreading getting it since I read on ELR that MS admitted on July 5th that there was a fatal flaw in every single 360 unit that could cause them to fail. Because of the unbelievable amount of repairs that MS had to take on, they extended their warranty to three years and is fixing the units (including shipping) at no cost to the consumer. Apparently, I haven't had it as bad as some customers have had it. I only had three of the four rings, which indicates a hardware failure. And I can get on and play every so often. But the unit will freeze and die in the middle of a game. Others have just had their unit up and die on them. My word to you is that if you have purchased an XBOX in the first year, it's not a question of IF your machine will die, but WHEN your machine will die. Sorry to be the bearer of bad news. Hey hey! Monster By Mail was mentioned in the St. Petersburg Times today as a cool place to get custom art for twenty bucks or less. Check it out here! Hey there! 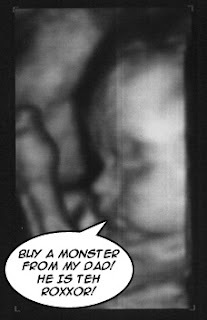 Have you purchased a Monster By Mail? Do you have a photo of the Monster In the Wild? Well, good news! You can add your photo to the group photo page on Flickr. I've uploaded a few of the ones that people have sent me, but if you have ones I don't know about, feel free to join the group and show 'em off. All you need is a Flickr account to join. Get to the group page here. 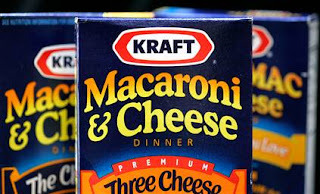 On tonight's show, we talk about the wrap up to our wasp problem, discuss truly awful badvertising and ask the burning question, why is this little girl running through puddles of cheese? All this and more on JAWBONE! "I visit the show once a month a do 2 segments and this time I did so with your drawing sandwiched between my MacBook Pro lid and the clear plastic shell in which I have it cocooned. 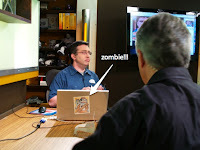 Unfortunately, there was never any time in my segments for me to go off-topic and acknowledge the zombie or how I came to acquire him. But, heck, and appearance on TV is still an appearance on TV." Indeed, Rick. I have a feeling that if Leo turned around in the photo, you'd see his mouth watering, gazing at the zombie and thinking of the delicious brains he could be eating after the show. That's what I think he'd be doing anyway. Thanks for the wonderful photo Rick! And if anyone else has any photos of their monsters in the wild, send em in! 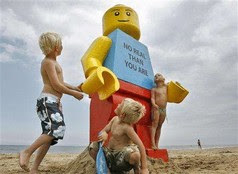 "A giant, smiling Lego man was fished out of the sea in the Dutch resort of Zandvoort on Tuesday. Workers at a drinks stall rescued the 2.5-metre (8-foot) tall model with a yellow head and blue torso". 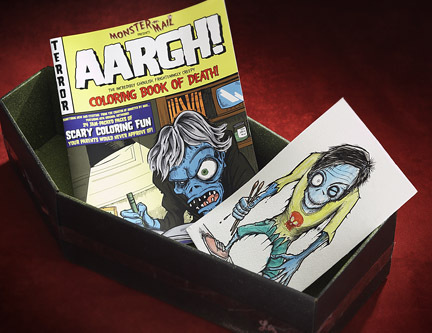 If you missed the live stream of me drawing myself as a zombie for a magazine story, you can see the whole video here. Thanks to everyone who showed up and watched. I'm sure I'll be doing this again soon. I saw this yesterday and thought it was pretty clever, I just wish there was more to the video. Anyway, enjoy! 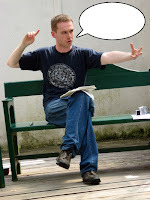 What could this student/budding director/crazy person be chattering away about on that park bench? I guess he needs your help. 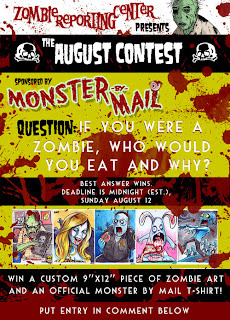 Monster By Mail has joined forces with the Zombie Reporting Center for a contest! 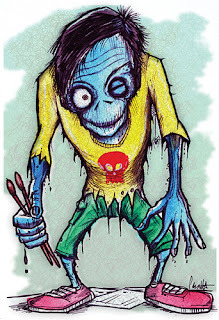 Now through August 12th, tell the good folks at ZRC if you were a zombie, who would you eat and why. 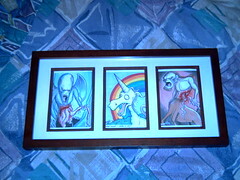 The best answer gets a 9 x 12 Monster By Mail image (much larger than the normal 4 x 6 images) and an Official MBM Zombie Tee. Shamble on over there and give your best brain-eating answer! On this episode of Len TV, we talk a jaunt to the Lakewood Arts Festival and see cool pewter figurines, etchings Ric Astley and the Verizon Wireless Elephant. Enjoy the first Saturday in August! Hmmm...I wonder what this could be all about? Thanks to Matt (AKA JadedDeath), Jawbone Radio now has a new social network! Come and interact with other Jawbone fans and "hook up" as the kids say these days. I'm not entirely sure what this social network will become, but I guess that would be up to those who join. To check it out, click here. Thanks again, Matt! On tonight's show, we do our first ever live Ustream show. We have a live chatroom and lots of distractions, plus Neil! What else could you need? Enjoy!